Working out with Dumbbells is a great way to build upper body muscle and strength. You can do bicep and tricep workouts and shoulder and back workouts. When doing dual arm workouts you have to really tighten your core in order to keep correct form. The dumbbell normally comes in 5 lb graduations and a typical dumbbell set runs from 5 to 50 pounds. 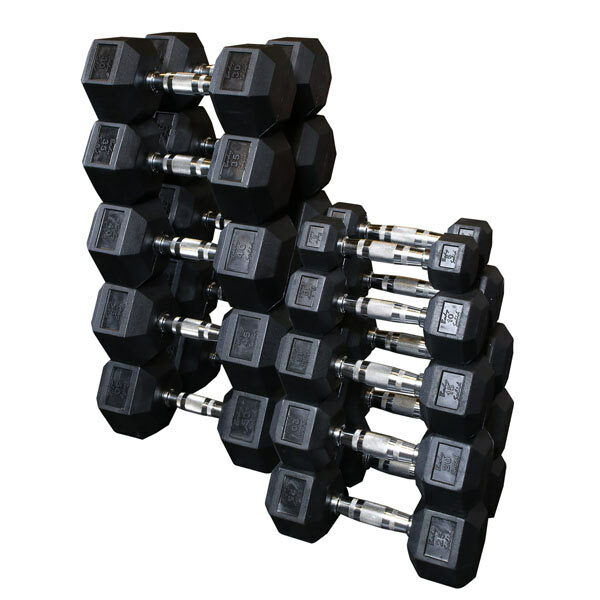 There are a variety dumbbell styles and racks to hold them. Give us call or send a quick email with any questions you have and Thank you for considering FitLine Fitness Equipment.